Two burp cloths or burp rags, made from Gerber cloth diapers, embellished with Tweet Tweet Love & Peace fabrics. One burp rag features birds, conversation blurbs, hearts, peace signs, trees and flowers. 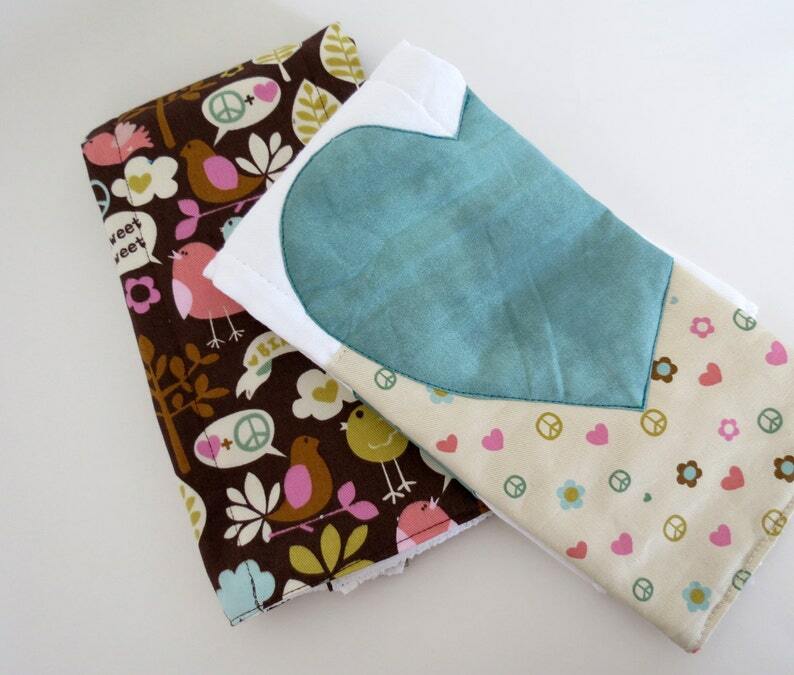 The other burp cloth has a tan fabric with colorful icons of peace, love and flowers with three teal hearts.